There’s magic in handmade pottery. And while I don’t know a thing about ‘centering’ the clay myself, I have a great appreciation for it. The glazing, shapes, colors and artistry of it all. A few weeks ago a friend and I meandered country roads south to Merrimack, MA to visit Purple Sage Pottery. 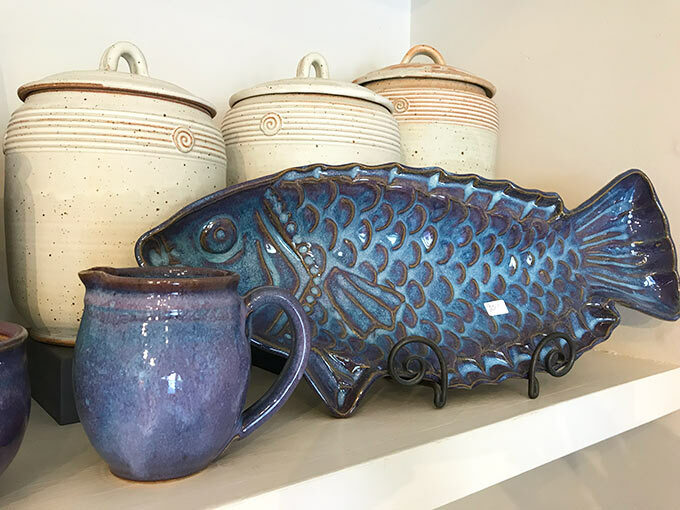 The fish platter we bought was thrown by potter Iris Minc from Purple Sage Pottery. 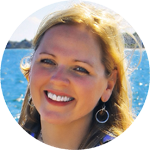 I’ve since visited her shop in Merrimack and added (very slowly!) to my collection through the years. 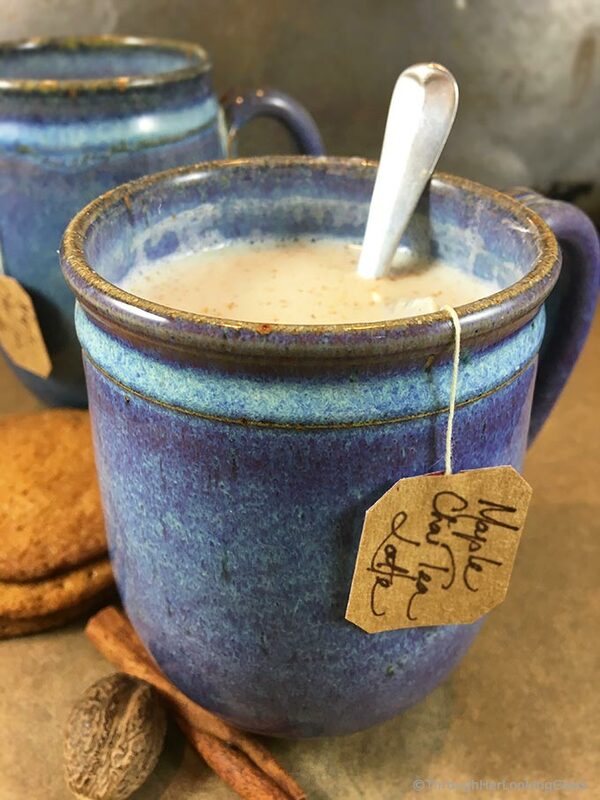 This maple chai tea latte recipe I posted a few years ago was just right in this mug. Your hands fit perfectly around it, just right. And filled with something warm and delicious in wintertime, it’s an experience in itself. Especially when the white stuff falls outside the window pane. Downright cozy! 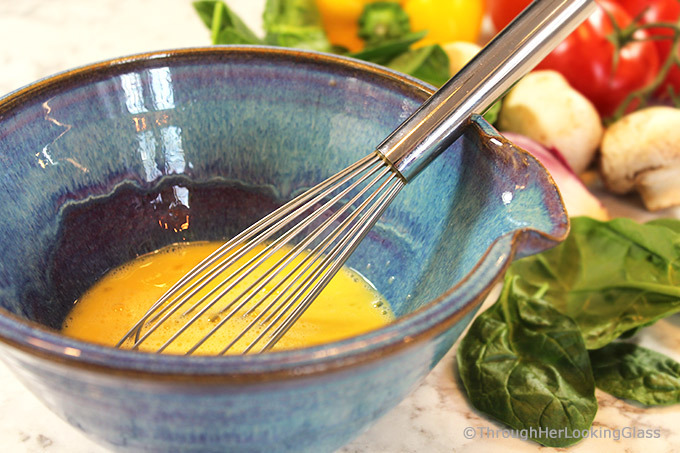 And this batter bowl by Iris was included in my recent omelette recipe! 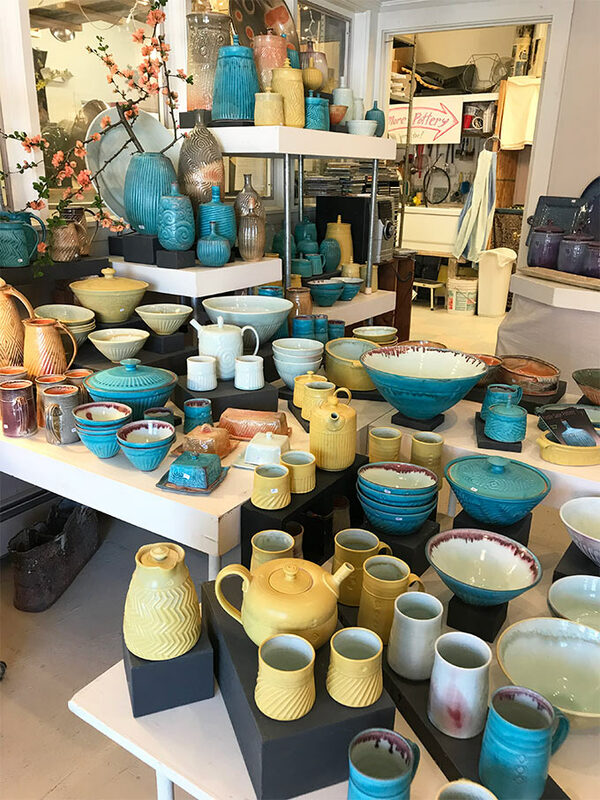 Twice yearly Purple Sage hosts an open house with many different potters displaying and selling their wares. That’s why we went down a few weeks ago, for the open house. 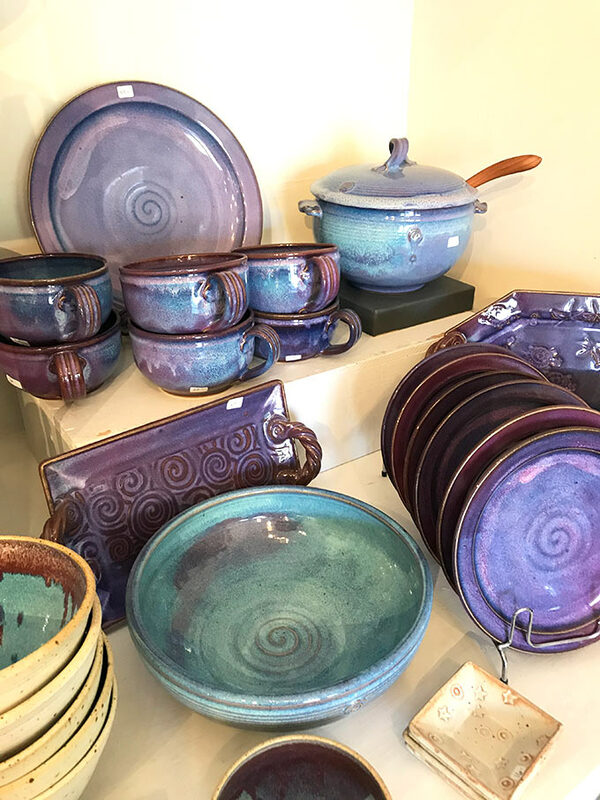 Purple Sage also offers pottery classes and space for potters to work at the wheel and fire their pieces. While Iris glazes with many different colors, my favorite is the purple/turquoise. I think it’s called sea foam. In fact, her fish platter above was the inspiration piece for decorating our new kitchen! So perhaps I’m becoming a collector after all. 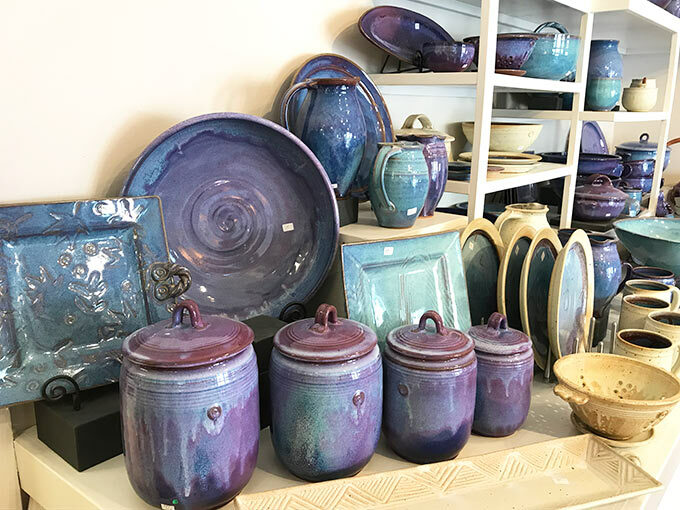 It’s a great experience using these pieces, reminiscing about our anniversary trip to Newburyport and subsequent visits to Purple Sage Pottery. 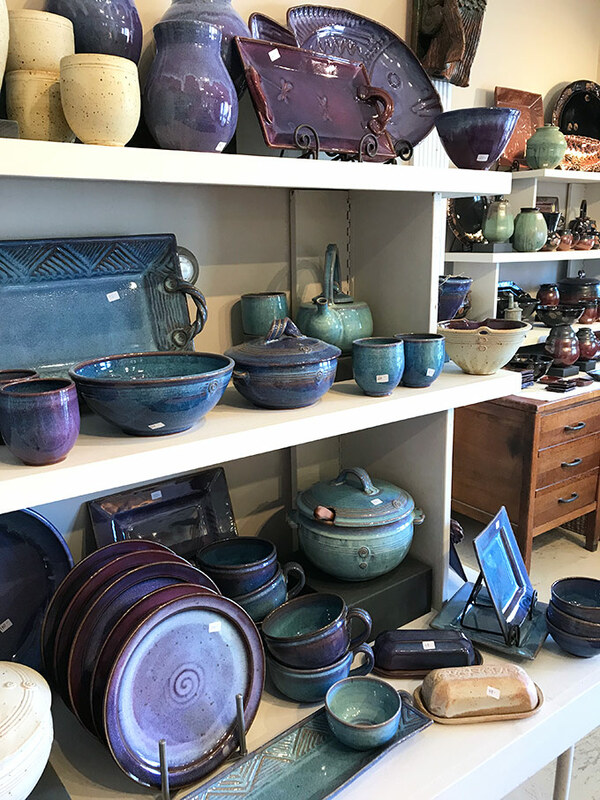 Have a super weekend, and if you’re ever in this neck of the woods, take a little detour off the beaten path and drop by Purple Sage Pottery. Oh, friend! You know I’m drooling! It’s all beautiful. I always struggle to pick my favorite piece & color! Pottery calls me, too. Maybe sometime I'll visit Purple Sage Pottery; or maybe just on line, in my dreams...or at your house! Inspiring post, sweet Allie! Hi Allie! I am in love with the fish platter. It is just beautiful. We have a pottery maker down the road from us and he operates during summer. I have stopped there and the pieces he had were not something I was thrilled with and the pieces were very pricey. The shop you are talking about here looks much nicer, for sure, I would just love to see it all. Oh we are finally getting some nice weather -the weekend was cool and I am hoping that we are seriously into summer. I am hoping to get into the greenhouse this coming week and get it organized. Our bathroom project is seriously underway! Oh, exciting to see!Have a beautiful week! Thank you Carol!! I love that fish platter too. Maybe when you make your trip this way you can drop by Purple Sage. Glad to hear you are having beautiful weather too, I just took Miss Chloe for a walk and all she wanted to do was roll in the grass. LOL. I really need the exercise (and so does she!) and she stops every five minutes to get a back rub in the grass. Or sometimes even on the street. Can't wait to hear more about your bathroom renovation and what you end up planting in the greenhouse. I'm thinking of planting our little garden plot this coming Monday - tomatoes, peas, peppers etc. Hosting an 80th birthday party for my M-I-L this Saturday, so planting will not happen then! Have a great week my friend! Beautiful things! I like pottery too, I buy new things every chance I get and I go for blue most of the times. :) We used to have a pottery near by some time ago and I bought quite a few things there, unfortunately it doesn't exist anymore, I think the woman making the stuff is too old in the meantime. But I still find other nice things at markets or fleemarkets. Thank you Adina, beautiful pottery isn't hard to love! Too bad you lost your pottery store nearby, but that will probably save you some money! I find I can't go into Purple Sage too often, it's too tempting! The pops of color are SO pretty in your white kitchen. What fun pottery to collect! 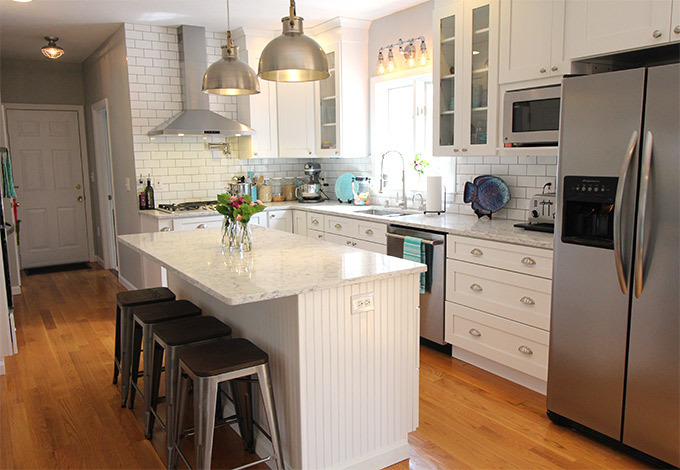 Hi Allie, I love the photo of your kitchen-- It's sooo beeautiful! The gorgeous fish platter look inccredible on your counter. Hi Allie, Thanks for asking!! No, I don't make pottery, but enjoyed it in school and college. :-) Hope you and your family have a wonderful Memorial Day Weekend! !